JHF expects our Associates to be professionals with a high degree of autonomy, but our staff is nearby to offer support while also promoting the relationships that make life enjoyable. 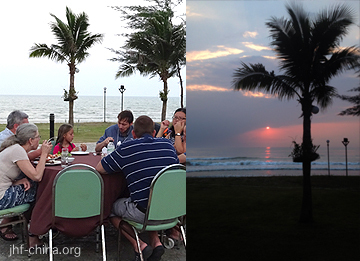 JHF’s annual conference is a week-long event (normally at a beach resort in Thailand), meticulously designed to encourage, inspire, and provide a chance to rest. In addition to professional development seminars for Associates, we offer a Sunday-school-style program for children. Many of our children (and their parents) see the conference as a highlight of the year. JHF has a modest Annual Fee that helps our Hong Kong staff provide services to Associates and maintain connections within China. (We also help to fund projects through a registered Representative Office in Kunming.) Some of our Associates are also supported by like-minded organizations back home, and we would be happy to link candidates to our international friends (ask for details). With the exception of our HK staff and a few specialized workers in Yunnan, JHF Associates are not “employed” by JHF; they are a network of professionals, who support one another as they help JHF achieve its charitable objective of “serving the communities of China with hope and love.” Because Associates are independent, they enjoy a lot of flexibility when it comes to things like relocation, reporting, and use of after-work hours. JHF Associates take their professions seriously, desiring to serve with skill and compassion. Our Associates work with local colleagues to strengthen their professions in China, to educate the next generation, and to compassionately meet current needs. As such, we are available to each other to answer professional questions, share resources, and support each other in other ways. 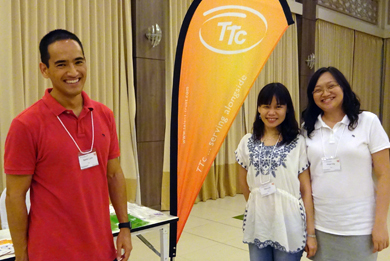 Specific support for some professions (such as seminars for teachers) is also a part of our annual conference. JHF Headquarters and Board of Directors are in Hong Kong, in the same time zone as our Associates. Our HK staff is readily available to answer enquiries, and to assist Associates who come to HK for special needs (medical, transit, etc). Furthermore, fellow Associates actively serve on our leadership team in order to give broader participation and input in leadership decisions. Members of the JHF leadership team also visit our Associates’ service locations throughout the year. JHF understands that experts may face competing demands related to work, publishing, professional development, and other connections. While many Associates attend JHF’s conference annually and stay in close contact, actual requirements are light compared to similar organizations: conference attendance only once every three years, and minimal reporting/paperwork. Perhaps the best “perk” is JHF’s family atmosphere, especially felt at the annual conference. In the cities where our Associates work, this “family” feel is also seen in monthly cluster meetings and occasional celebrations. 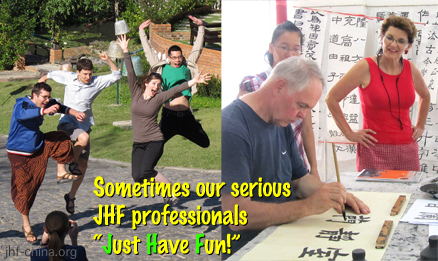 As long as JHF exists, no foreign professional who serves in China needs to feel alone!